This fountain had been in my imagination for a long time. I had created it in cardboard and also created a small maquette that resembled the idea. 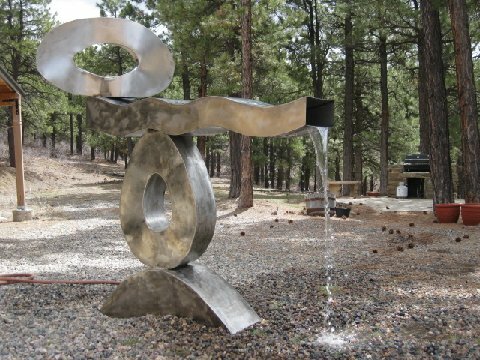 I see this design as the birth of a whole new genre of fountain for me, where "things are balanced and water magically appears".... I like the metaphor it represents in life.